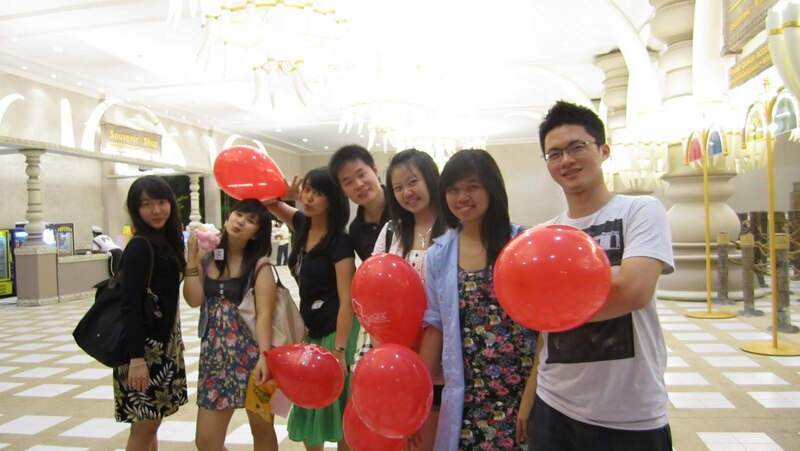 this is so called my early graduation trip back in 2011.
me. friska. andreas. icha. veve. fanie and reza were there for 4days and 3 nites..
but i prefer bali more than phuket. hehe. but again.. its not the place that you went to.. but the people whom you with with that makes you enjoyed the trip..
a lot of jokes and laughter among us..
be it make sense or not.. hahaha..
so.. this was our itinerary..
and we were still at the toilet at 1.10pm. HAHAHAHHA..
we were scolded by the air asia people..
after we arrived there.. we were looking for local tours to take us arnd the island..
finally we got the tour package for 3300 bath = 145 sgd to 3 places..
** hotel’s package will cost u 3300 itself for 1 attractions..
so just get it from the small booth anywhere u like.. all the prices around the same..
its the bargaining skills that u should have. 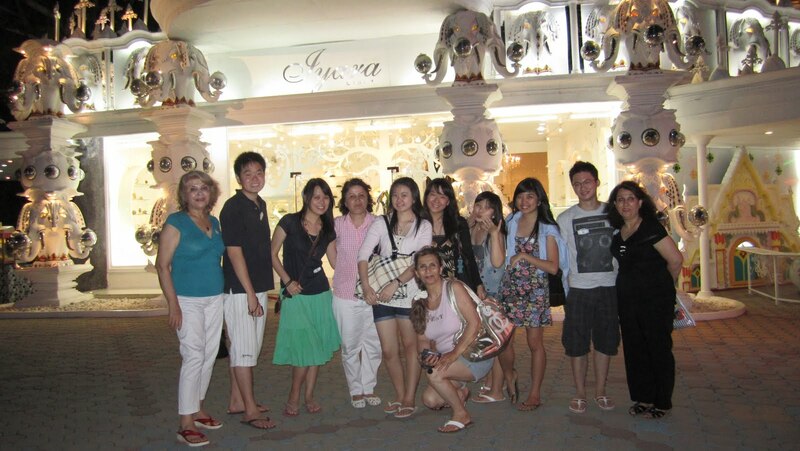 ahahahha..
and we went to dinner by the beach..
actually we want to go to SAVOEY. *recommended restaurant by ibis hotel concierge.. but because of 1 2 and 3 things.. we went to this small restaurant by the beach.. called.. “the beach”. 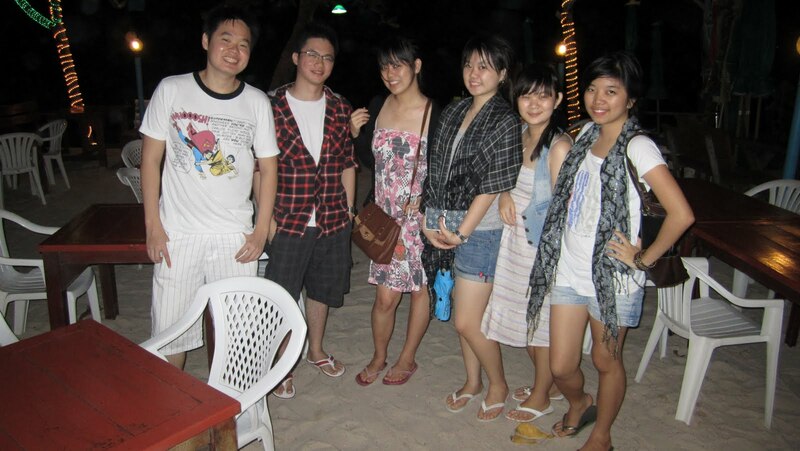 ahahah.. eventho.. we ended up.. not eating at the beach.. *forgot whats the restaurant’s name. we woke up early in the morning to go for elephant tracking..
so. 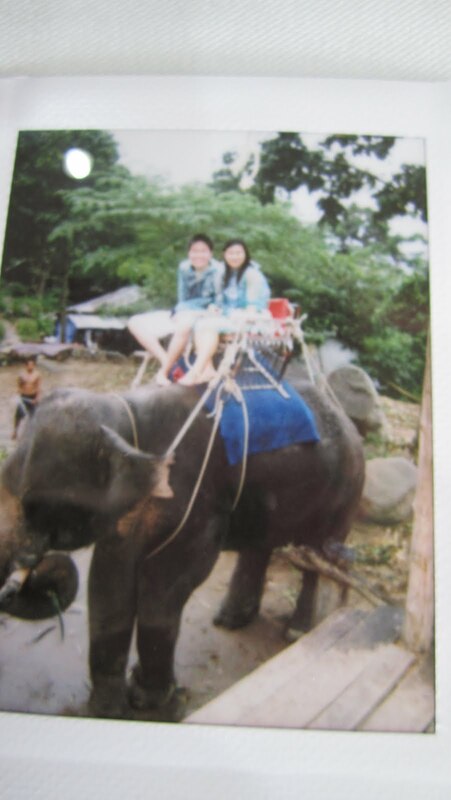 we ride those elephants for jungle tracking and to see the beach from the cliff..
and yes.. there are some scenery that is breath taking for me..
but unfortunately.. cant take some pics. our elephant is like a mad raging elephant. and its a male elephant..
it can go to the tip of the cliff and trying to go down to the beach..
it can put one of his legs up to another cliff and happily eat the banana tree..
*jadi modelnya pas dia angkat kaki depan.. kita otomatis. keblakang donkk..
yahh.. kyk modelnya sarung gajah duduk dehh.. ato polo shirt yg kuda.nya naeq..
gmn gw ga jantungann.. -_-..
it was more thrilling than universal. i can guarantee you.. *if u ride our elephants named captainn..
cause the other 2 elephants that fanie friska reza and veve ride were very calmed and we can see them enjoying the tracking..
ketika gw dan andreas seru sendiri d atas gajah kita..
the diner place is fabulous. 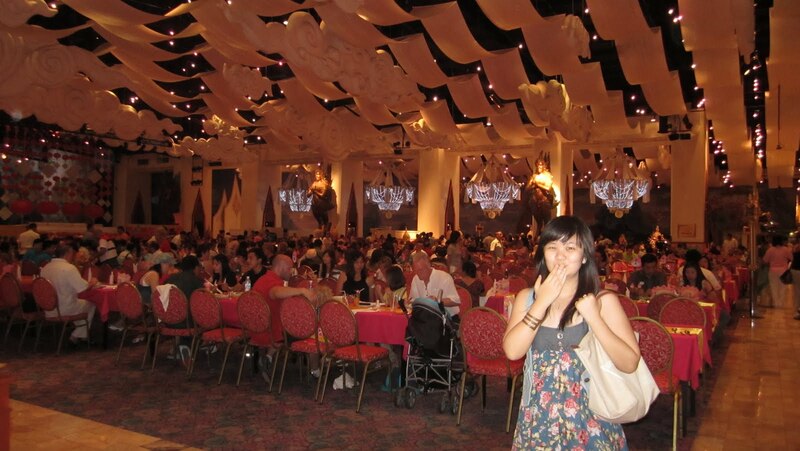 its like a place meant for gala diner..
and this is the gate to enter the show.. cool huh? haha..
all camera’s should be keep at the counter, so they gave us private lockers to put our things..
and on our way back. got 3 Ukrainian Ladies asked us to take pictures with them. haha. how cute. 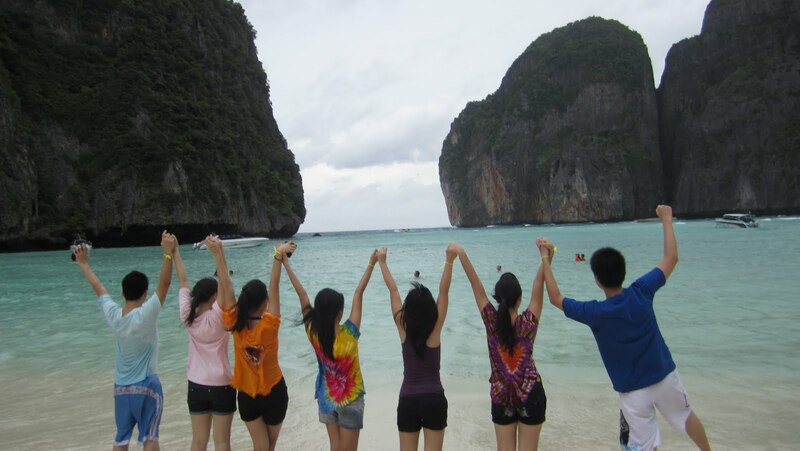 we went to phi phi island for sightseeing and snorkling..
or u can take bigger boat. but it will take u 2hours to travel there..
veve and friska got seasick and threw up in the speedboat..
it wasnt a good trip for both of themm..
luckily the rest of us are okay..
jernih mampus itu aer.. haha..
so. we spend the whole day at the beaches. * dan gw baru ngerasa sakitnya keterpa sama pasir.. gara2 anginnya super kenceng. sumpa sakit dehh ga boonk.. kyk d tabokin pasir..
malem.nya kita diner di pinggir jalan yg mayand enak juga..
namanya noodle’s house d pinggir jalan andaman..
they have the best tom yum for our trip. ahhaha. and 3 of them were taking thai massage..
and it is very relaxing.. and we really love it..
i can recommend u the place..
– 270 SGD for all the activities, lunches, diners, transport by tuk2 and van + jajan2. **sorry for the low quality pictures. did not have a fancy camera back then. hehe.. This entry was posted in Asia, Food, Thailand, travel and tagged air asia, beach, elephant tracking, fantasea, graduation, ibis hotel, island hopping, massage, phi phi island, phuket, snorkeling, thai massage. Bookmark the permalink.